The Power of Names Your name is a significant part of your identity in the world. Therefore, it is no surprise that your name is linked to your destiny. It is for this reason that parents carefully and thoughtfully choose baby names. Even nicknames can greatly impact your life. Your name is a significant part of your identity in the world. Therefore, it is no surprise that your name is linked to your destiny. It is for this reason that parents carefully and thoughtfully choose baby names. Even nicknames can greatly impact your life. Your name is a powerful symbol that distinguishes you as an individual. It is often associated with your character and sense of purpose. The sound waves of your name have an energetic vibration which directly affects your life. Your name itself is a mantra. There are many reasons to change your name. Actors like Bruce Willis and Indian film star Akshay Kumar changed their names to achieve fame and success. J.K. Rowling changed her name to publish books. Babe Ruth and Tiger Woods changed their names to become champions. For these people, name changes had a positive impact on their lives. Even if you are not searching for fame, a name change can redefine your life and help you achieve your personal goals. You can change your destiny by simply changing your name. 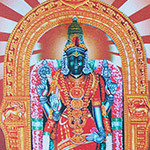 The ancient science of Vedic astrology can be used to calculate a new name. Your birth chart and planetary influences must be examined. 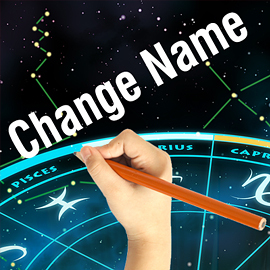 If there are specific planets causing adverse affects in your life, you can change your name as a remedy to help you align with the positive nature of those planets. 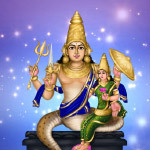 Our expert Vedic astrologers will give you a new name or make slight alterations to your existing name. This lucky name will have vibrations that resonate with your true purpose in life. Name changing is a proven esoteric science that has been used for centuries to change the course of many people's lives. To order our Name Change Report, please ensure that your birth date, place and time (to the best of your knowledge) are accurate in our database. If you are a new user, please include the required birth information when you register. We also need your full legal name, including your middle name. 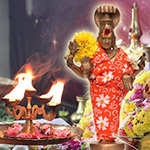 You will receive your detailed Astrology for Names Report within 10-15 working days. For New born babies, please create a Sub-user account and enter your baby's birth details. After clicking on the Order Now button and you may Change User and Add New User from your shopping cart page.